A Dublin school has reversed a decision not to offer a place in first year to a local boy who is a Traveller. Paddy Flynn was the only sixth-class child from De La Salle primary school whose application to De La Salle Secondary in Ballyfermot was rejected. The school refused his application because it was late. It also said that its first-year classes were full. 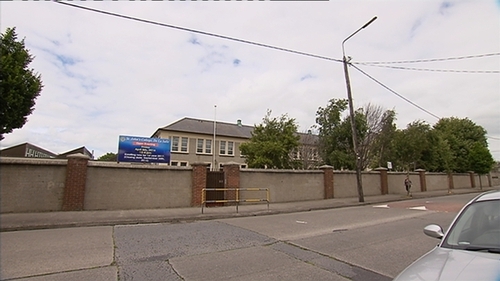 Earlier today RTÉ News revealed that the school had enrolled 67 first years last year, and 77 the year before. This year it has admitted just 38. Yesterday evening principal Annmarie Leonard told RTÉ News that because of declining enrolments the school had decided to reduce its number of first-year classes from four to two. She said those two classes were full, and included students who needed a lot of additional support. This evening however the school has reversed its decision. It says it will meet Paddy's parents tomorrow, with a view to offering him a place. His family have welcomed the news. His aunt told RTÉ News that none of this should ever have happened. She added that Paddy was "on cloud nine" this evening and that his mother Ann was also "over the moon". Paddy's parents, who cannot read or write, had said they did not know they had to apply. The Department of Education has said a late application would not be a sufficient reason for a school to reject a child unless the school was already full when the application was made. The Department of Education had offered Paddy nine hours a week of private tuition at a community centre in Ballyfermot. The Flynn family were also approached by a well-wisher who offered to pay for Paddy to attend a private school. However, his parents declined the offer, saying they believed Paddy's interests would be best served by attending a local school with his friends. Applications made to other nearby schools on Paddy's behalf were also rejected.